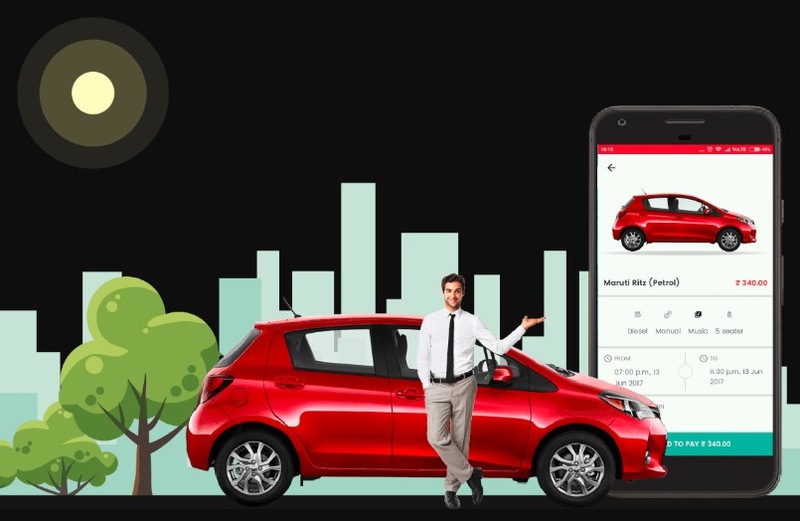 Earlier this week, Bengaluru-based car and bike rental company Drivezy announced that it raised $20 million in Series B funding led by existing investor Das Capital — which is an early-stage VC firm founded by Shinji Kimura. Yamaha Motor Co. Ltd, Axan Partners, and IT-Farm also participated in this round reported LiveMint. Founded by Abhishek Mahajan, Amit Sahu, Ashwarya Singh, Hemant Kumar Sah, and Vasant Verma, Drivezy has raised about $31 million so far. This round of funding will be used for improving technology infrastructure and ramping up its marketing initiatives. Drivezy also raised an additional $100 million through a special purpose vehicle (SPV). And the company is planning to deploy 50,000 vehicles over the next three years. And Drivezy’s peer-to-peer car and bike rental vehicles can be rented on an hourly, daily, and month basis ranging from 100-2,500 rupees per day depending on the vehicle type. And the company is planning to aggressively scale its bike and scooter rental initiatives. In Bengaluru and Hyderabad, Drivezy added 3,000 scooters this year through a partnership with Honda Motorcycle and Scooter India Pvt. Ltd. The number of vehicle listings has doubled since January this year. And the company collaborated with Hyderabad Metro to set up bikes and scooters at major metro stations. Drivezy is aiming to bring 2% of the total vehicles sold in the country under the shared model over the next 3 years. And they believe the vehicle sharing marketplace is a strategic and efficient alternative for vehicle purchases. Through the Drivezy platform, vehicle owners are able to list their idle cars, bikes, and scooters. And then they can generate income by renting it out. Mahajan pointed out that the total number of registered passenger vehicle in the world is nearly 1 billion. However, only 3 million cars and 16 million two-wheel vehicles are sold in India every year. This is why the team believes there is a lot of potential for shared mobility in India. And India is expected to become the world’s third-largest passenger vehicle market by 2021. “India is a market with a huge potential for growth. However, we also understand that the country faces various hurdles to realise that potential. We have great relationships with companies across India and we will actively invest in projects and companies in the country. It has been a pleasure to work with Drivezy and we look forward to further invigorating the Indian shared mobility market,” added Anypay chairman Shinji Kimura.